The original title of this post was "The Full Blue Moon Doeth Cometh". Then, we were wondering if it was "Doth Cometh"? After Googling way too long for the proper usage (it's a dead language - COME ON!!) and realizing that the lesser educated would probably just think we made a huge typo all together, we ditched it. Maybe it's that 20-hour Game of Thrones marathon we were addicted to during Hurricane Isaac and our desire to be A LORD WHO CAN ACCOMPLISH WITH WORDS WHAT SWORDS CANNOT but we really, really need a reality (and sanity) check. 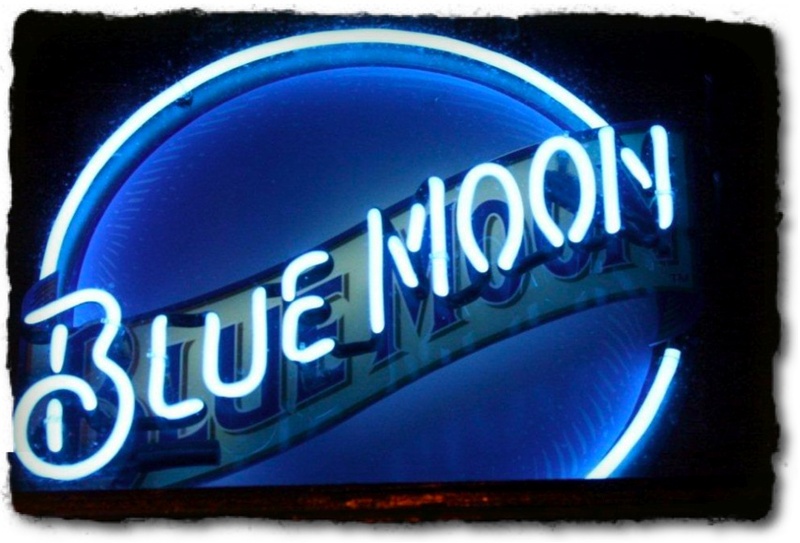 Enter this weekend's Blue Moon right on cue. After tweeting to our 1,600+ tweeps about what good full moon parties are happening around town (and having none of you blood traitors respond), Skanda Yoga finally took pity on our pleas and tweeted us this evening with this invitation. They'll be hosting a Blue Full Moon Meditation at 3rd & Ocean Saturday, September 1st at 8 pm. Click here for the details. This is where you should go. We will be celebrating the Blue Full Moon in an undisclosed, invitation-only sacred sweat lodge ceremony in the remote southern territory known only as Homestead. This will be our battle cry as we forge onward into the south! Afterwards, we will be answering this ad on Craigslist. If you'd like to join, feel free to shoot us an email (or text if you're one of our real-life friends). "WTF?! Why is that a clock?! I don't ever want to see that again!"